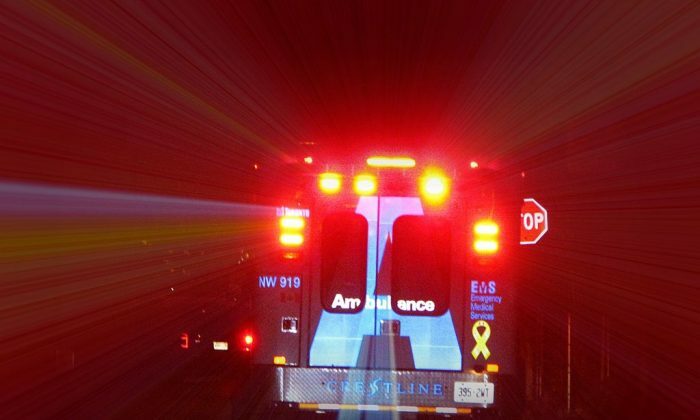 Stock Photo of an ambulance en route to save a life. Todd Latourette, a New Mexico actor, said he cut off his arm and then lied about being a veteran who was wounded in combat. Latourette, who appeared on “Better Call Saul” and “Longmire,” said he cut off his arm 17 years ago and cauterized it while he was off his medications, KOB4 reported. He was able to find work, but he made up a story about being a war veteran. Latourette, who appeared in “Better Call Saul” during the fourth season, said that he’s not looking to be redeemed for the move, but he said that he hopes the story will help people struggling with mental illness. “The power is in your hands to take your medication in the morning, or at night. So that, this, this discourse of my life doesn’t need to necessarily be yours. Because, it happens quick… it happens quick,” he said. AMC representatives have not made a public statement on the matter.